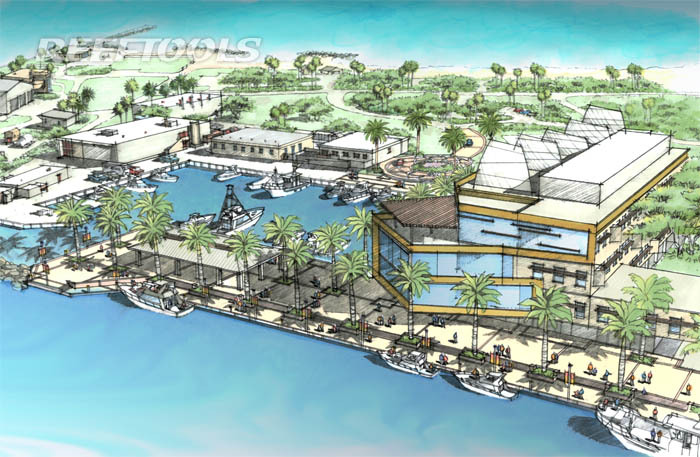 Nova Southeastern University (NSU) has officially started the construction of the largest coral reef research center in america. With the groundbreaking ceremony on March 9 at its Oceanographic Center, NSU announced the 86,000 square-foot Center of Excellence for Coral Reef Ecosystems Science Research Facility (rolls right off the tongue….). The $30M building, was funded by NSU matching a $15 million federal stimulus grant from the U.S. Department of Commerce’s National Institute of Standards and Technology. NSU was actually amongst the top 12 universities (out of 167 applying) to receive the grant, and only one of two who recieved the full $15 million.